Hi everyone this is Haley Smilow and this is my page dedicated to all things baseball. You will find things on this blog from my families quest to visit all 30 MLB ballparks, some pictures from our trips, and player interviews. I have been fortunate enough to have had the opportunity to interview several Major League Baseball Players over the last couple of years. My family began a quest in 2011 to visit all 30 ballparks and by the end of this summer they will have completed the trip with our last 8 stadiums out West. 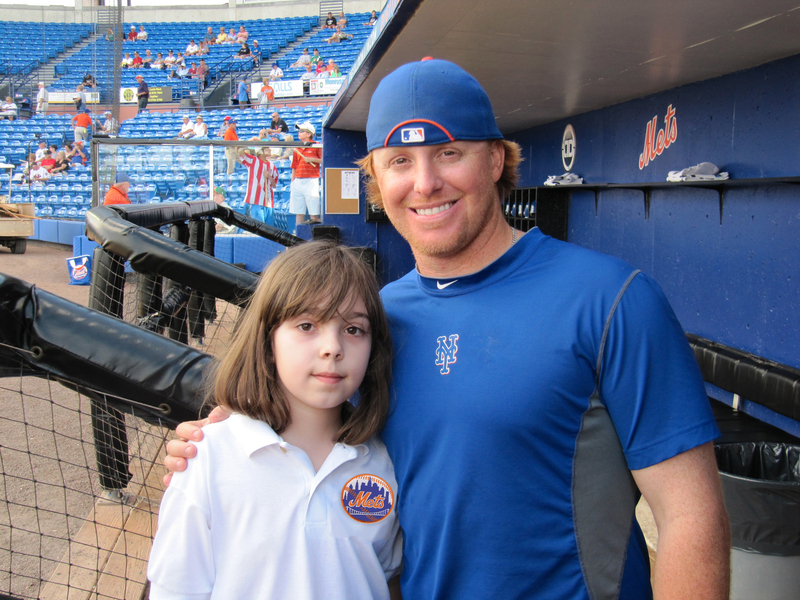 The following is a Q&A that I conducted in last Spring Training in Port St Lucie with Mets utility infielder Justin Turner. Like always, I asked Turner several questions that he was not accustomed to fielding from other reporters. I am sure that is why he was so enthusiastic about the conversation. So without further adieu, sit back, grab a favorite drink, and enjoy the dialogue between Justin Turner of the Mets and me.